I am in Monaco for work, I wish I was in London for work but that will come one day not far, in the meantime I want to share with you a little of what I see. I am sorry I don’t give you the typical harbor view, I may but you can google that one :). Like everywhere I go, wether is Milan, Cannes or Monaco, I love windows because they have unique reflections, I can’t get anywhere it is not easy to get Palm Tress that look awsome!. 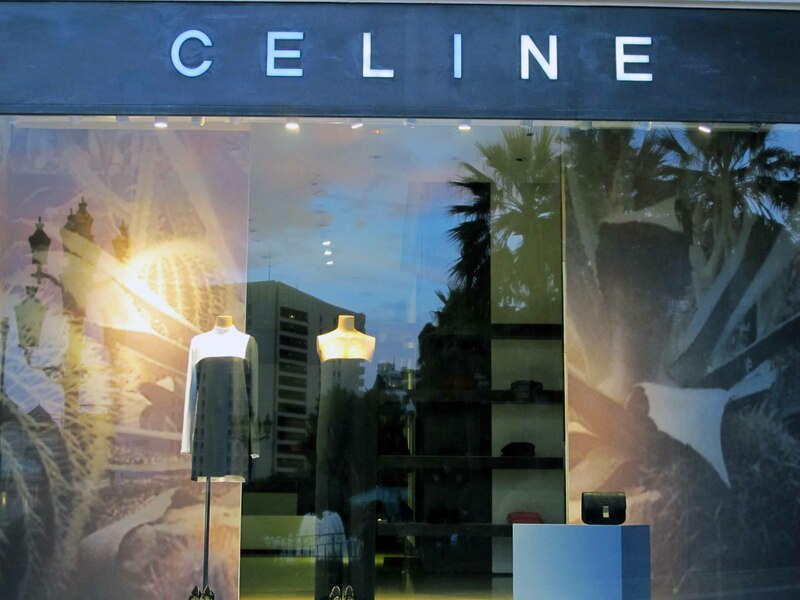 So here is Celine FW collections one, which I love minimalist, elegant, sophisticated. 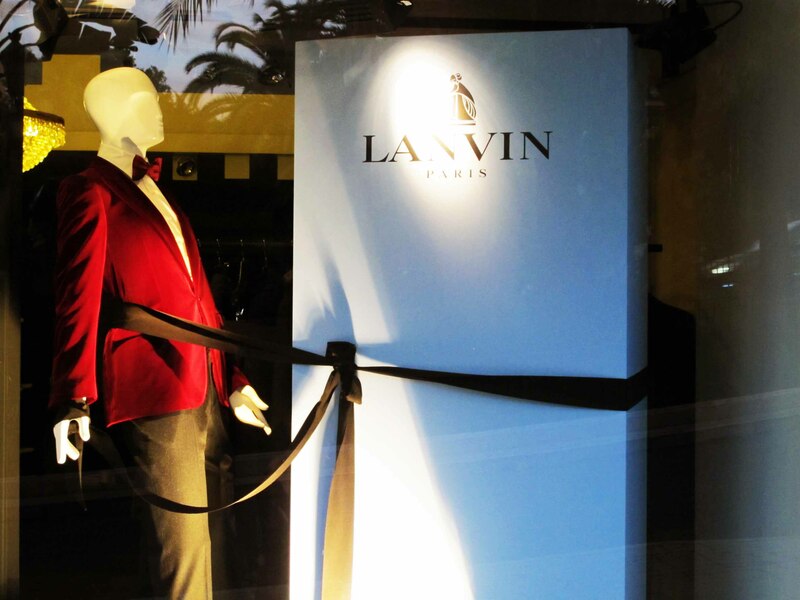 Some Lanvin velours Jacket to go and wear in the Casino. 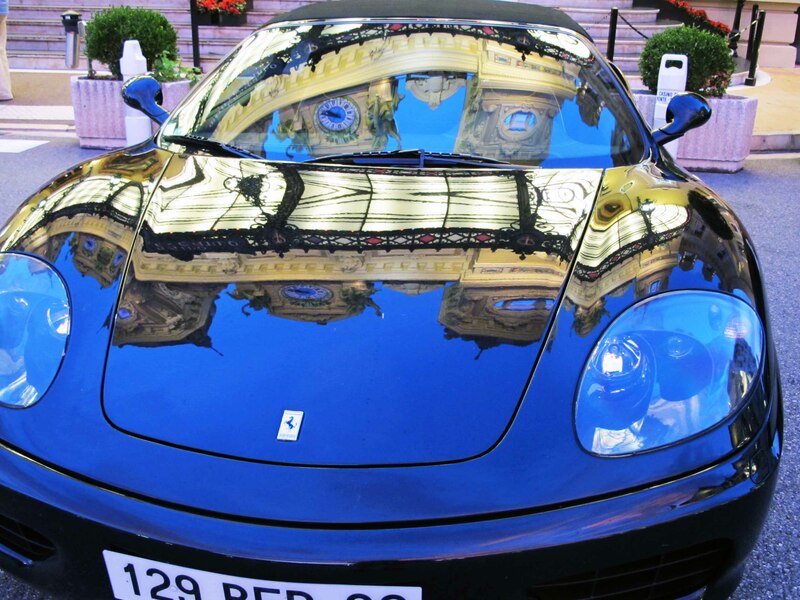 Lastly my interpretation of Monaco, the pure reflection of wealth, this Ferrari, like many others was parked between Bentleys and Rolls Roys (there are no normal cars parked in front) just in front of the Casino, to give me opportunity to create my own personal postcard. Don’t worry if I see Prince Albert I will take out the paparazzi in me to take a picture, even though I am already bored in every commerce, hotel, bathroom you can see his picture or one with Charlene!